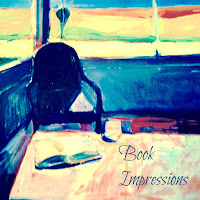 A Book Impression is an opportunity to share my reading experience. For a more detailed explanation, please visit this post. This story is as old as I am – literally. Yet somehow I never heard of it growing up. I’m finding that to be a popular theme with these middle grade fiction posts: I missed most books of this genre at the time when when I was the intended audience. Perhaps that is why I am enjoying this reading focus at this point in my life. Even though the book is over a half-century old, I do believe the story is still relevant today. Some rather difficult subjects are discussed, such as homelessness, and prejudice towards those who are different (whether less fortunate, of another culture, or adhere to another moral code). It is for this reason that I recommend the book, but with the caveat an adult read the story as well. I believe this would help open the lines of communication for children to ask questions and voice concerns. The main character, Armand, is a hobo living under one of the famous Parisian bridges that cross the Seine. He is actually quite fond of his hobo status, taking pride in his perceived laziness and unemployment. He is an affable character, although not a fan of “starlings” (children). As we learn throughout the story, however, it is not that he dislikes children but rather he is afraid they might steal his heart. When Armand returns to his home under the bridge, he discovers three children hiding there. He pretends to be gruff with them, but knows he cannot turn them away. The children ignore this grumpy exterior and notice only his kind generosity. They immediately begin to refer to him as Grandpa. The story takes place in December and there are subtle references comparing Armand to Father Christmas. The only item on the children’s wish list is a home, and Armand promises to deliver. I am a devout lover of Paris – which is what initially attracted me to this book. I thoroughly enjoyed the references to various arrondissements, particularly the Les Halles food market. When traveling in Europe, particularly Paris, tourists are told to be wary of the gypsies. And I understand this warning. However, it was interesting to see this culture from a different perspective. While private and secretive, their hearts are wide open. They were more than willing to accept these homeless children into their community. Initially I took exception to Armand’s pride in laziness. He almost boasted of his choice to live off the street and not answering to authority. It wasn’t that he couldn’t work – or had no opportunity; in fact, he rejected job offers throughout the story. This is not necessarily a character trait I would want to instill in my middle grade child. But in the end, Armand sacrifices his hobo ways in order to secure a job that provides a decent wage and large enough home for himself, the children, and their mother. And he learns a valuable lesson: sharing with others enriches life; putting their needs before personal desires isn’t a burden, it is an honor. This post is a part of Marvelous Middle Grade Monday. If you are interested in reading other MG books, please visit Shannon Messenger’s blog for a complete list of this week’s reviews. I am always on the lookout for other MG historical fiction novels. If you have a favorite you think I would enjoy, please feel free to leave the title in the comment section. I just got to this one last year and found it to be a charming story. Loved the full paged illustrations, too. Yes, Greg, the illustrations are lovely and help the reader get a feel for the streets of Paris. This one doesn't circulate much at my library. Whether it stays or goes may depend p. How the copy smells! I do have better stories about people dealing with homelessness, although not any set in Paris! I recently read Winter Cottage by Carol Ryrie Brink, a book I missed in my young years with similar themes. I really enjoyed it. I am going to read this one as well. Thanks for telling me about it. I've read this to my children for school (2nd grade) and I've loved it each time. Such a great story. I am interested in reading your review of The Family Under the Bridge after you finish reading it. Ms. Yingling… my focus was indeed on books set in Paris rather than a theme of homelessness. I would be curious to hear what books you would recommend that deal with this sensitive subject.